Bitcoin price $3645.85 +0.59% dropped to a new yearly low at $3,210 and the overall market cap now rests at $110.6 Billion. Clearly, bears are still running the show for BTC and the SEC’s final postponement of a Bitcoin exchange-traded fund decision didn’t seem to help. 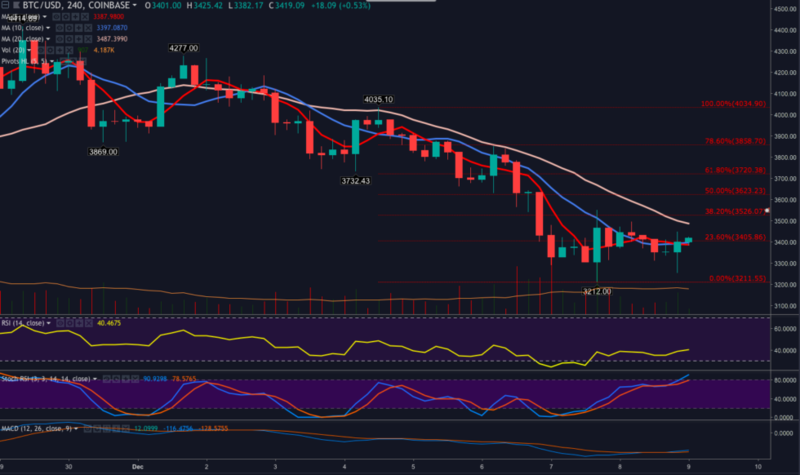 Bitcoin $3645.85 +0.59% broke below the $3,550 and $3,400 supports and the cryptocurrency will likely mean that $3,700 will post a stiff resistance to overcome. However, at press time, BTC price has managed to break above the $3,600 mark and now looks poised to test $3,700.